It's November, people. What the heck?! 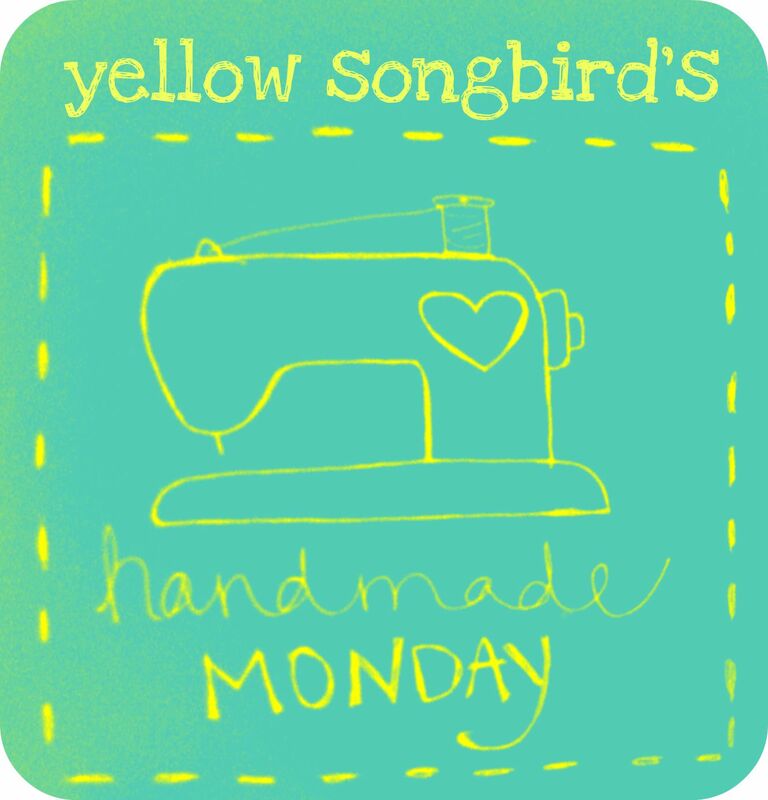 We're back with week 2 of handmade monday. 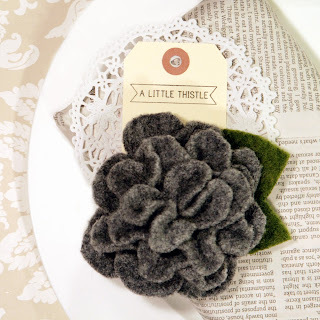 This week, it's all about Kyla Roma, the girl behind a great blog with the same name, and a shop called A Little Thistle. Kyla is a ((wayyyyy talented)) graphic designer and has recently opened up shop on Etsy. A Little Thistle is brand spankin' new & I love every single item in it. I even just featured one of her necklaces here. Everything in the shop is affordably priced & so unique. Can't beat that. Here are a few of my favorite items in the shop. Beautiful, right? Kyla was sweet enough to answer some questions for you awesome readers. I'm inspired by the stories of everyday people and my favourite things- cozy knits, notebooks to keep my blog ideas in, and accessories that are packed with character. I love the idea that what a person carries with them tells a story about them, and I love creating pieces that have a vintage feel and that can carry whatever history their owner wants them to be a part of. What's your favorite color and/or color scheme? I love muted tones- blues, pinks, greys and purples, and I'm a sucker for contrast! I tend to pair girly ruffles with a vintage leather jacket, or wear a really cute dress that shows off my cherry blossom shoulder tattoo. 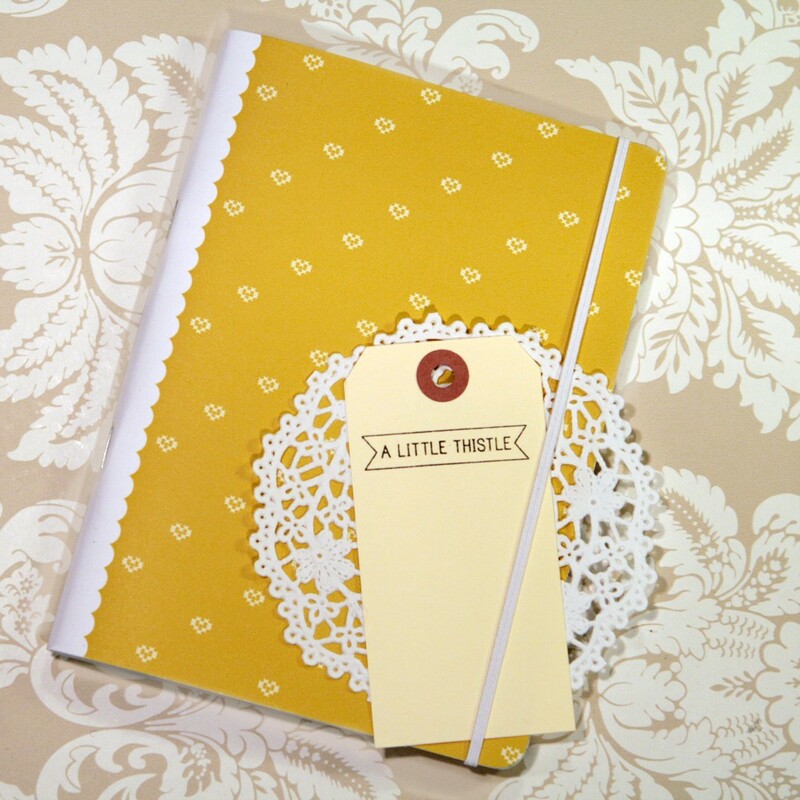 What is the most gratifying part of your handmade business? A Little Thistle is still in its first month of business, so right now I'm still basking in the fact that it's online and out there for people to see, and that the response has been so positive! My favourite part right now is dreaming up new pieces and working on ways to make the customer experience really positive and personal. I want people to have a little piece of the prairies arrive in their mailboxes, and to feel like they're part of something special. And they are- every time someone buys handmade they're helping to make someone else's dreams come true. There's something unequivocally wonderful about that. Isn't she wonderful? I think my favorite thing about her shop is the consistency in the photography. Everything is arranged the same way, so it's easy to "browse" through. Not to mention the styling is pretty darling. Doilies, handmade tags & fabric? Yes, please. 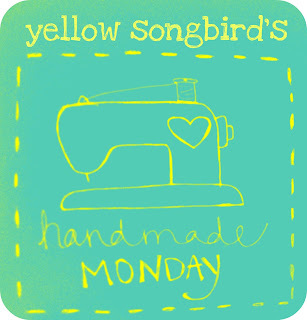 Thanks to Kyla for being a part of handmade monday! Make sure you check out her shop ((here)) & her inspiring blog ((here)). Great shop! I love the cream chrysanthemum necklace and the zippered rosette (very creative!). Thanks for the introduction to her shop and blog. When I saw this shop here on Friday, I immediately added it to my favorites, picked out about 4 of the necklaces that I looove, and hinted to my sister about Christmas... :) Love it!! ok wow!! i LOVE her stuff and the name of her shop is uber cute too!! thanks for sharing!!! Yes, she has great stuff! Thanks for introducing her to us! Oh my goodness, how charming! 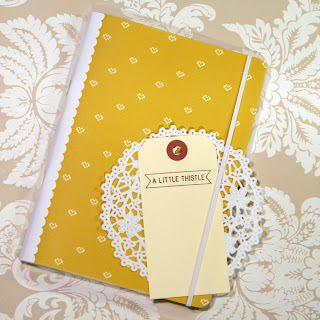 I'm off to peruse the shop and read her blog! 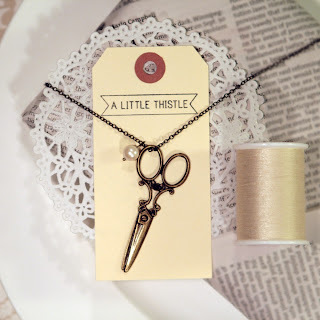 I'm putting the scissor necklace on my christmas list. I hope I can wait that long to have one! in love with this store since you posted the picture of one of her necklaces last week! very cute products! Thanks for sharing Kim! what a darling shop! i love the brooch and the notebook, so charming! 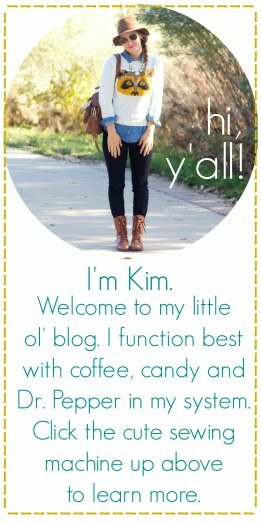 I love Kyla and her blog! Everything is so pretty. She's such a great girl!